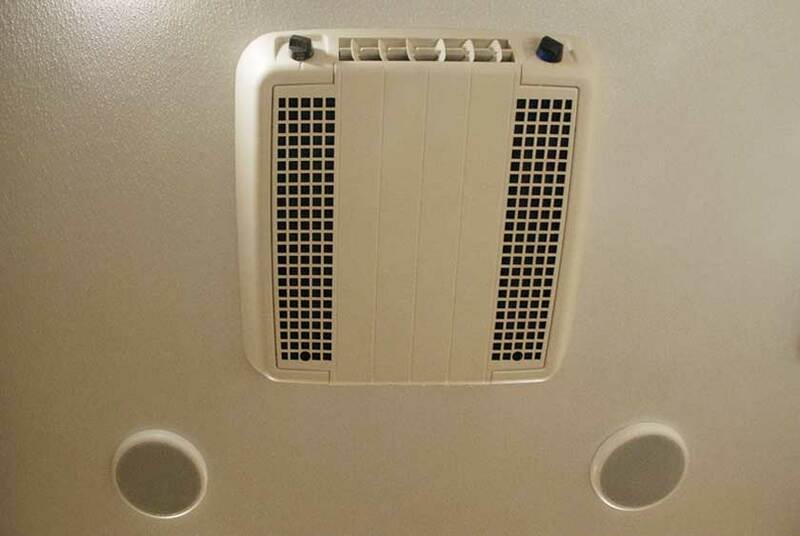 There is low voltage lighting and skylights that will provide plenty of natural light inside the restroom trailer. Ceiling vents will supply excellent ventilation throughout. 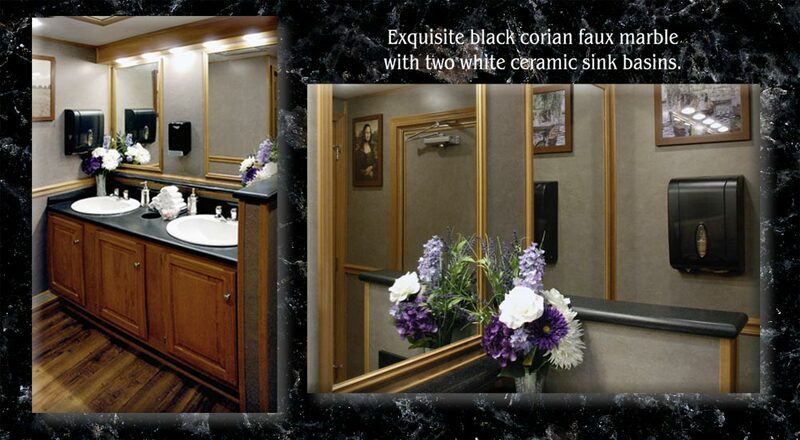 The vanity sink area is a black corian faux marble with two white ceramic sink basins in both the men's and women's restrooms. 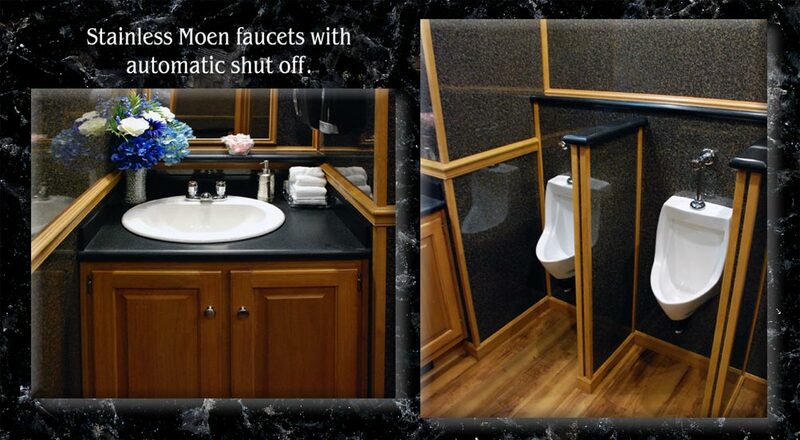 Each sink has stainless Moen faucets with automatic shut off to help conserve water usage. Electric hot water heaters provide hot and cold running water options. Filled antibacterial soap and paper towel dispensers are conveniently located. Additional amenities and décor include beautiful custom floral arrangements, cotton hand towels, and hand lotions for your guests to enjoy. Next to each sink are convenient trash receptacles for guests to place their trash beneath the sink to keep the restroom and sink area clean. 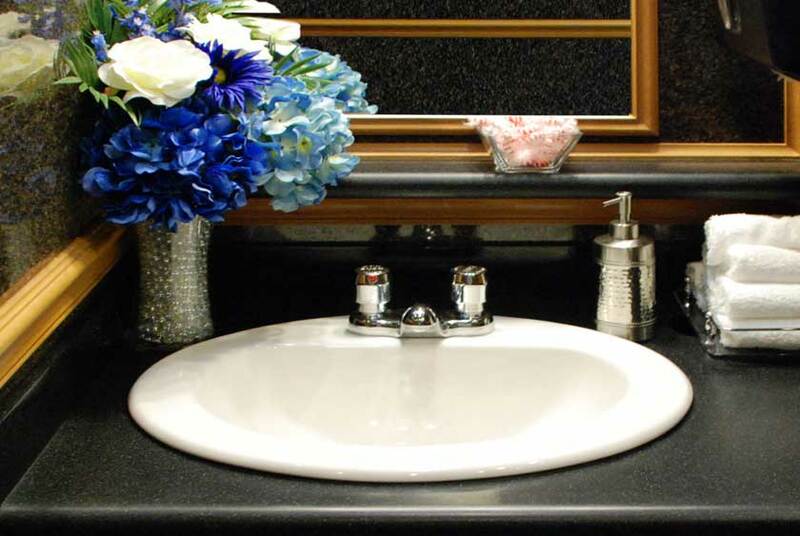 Vanity mirrors with low voltage lighting and a full length mirror are also provided. The women's restroom has three deep and spacious bathroom stalls and the men's side is outfitted with one. 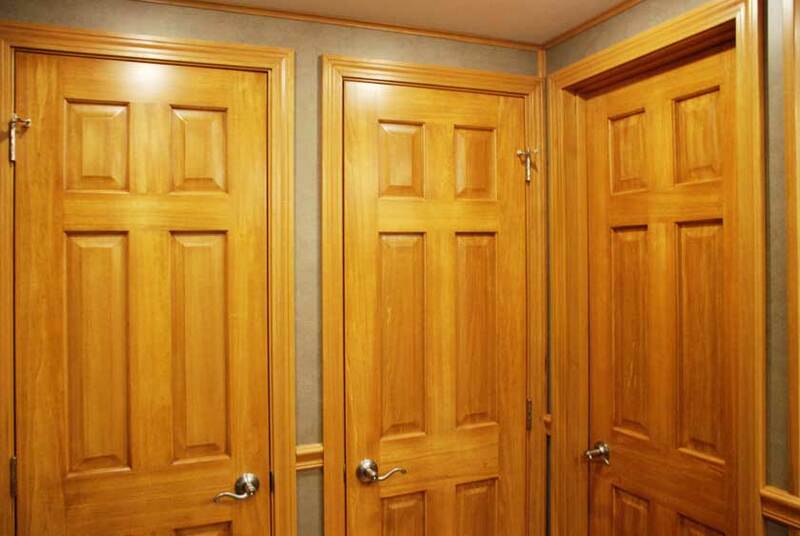 Each bathroom stall is fully enclosed to offer complete privacy with floor to ceiling solid wood lockable doors. White porcelain spring loaded toilet bowls operate with a pedal flush for hands free operation. Toilet paper dispensers and covered trash receptacles are conveniently located in each stall. The framed art work adds a homelike feel to each private bathroom stall. 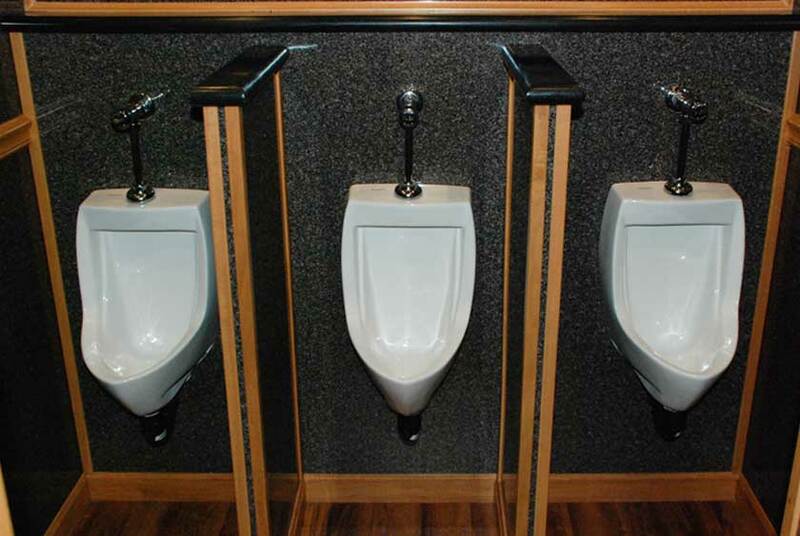 The men's restroom is also equipped with three flushing porcelain urinals with faux marble privacy dividers. The men's décor has elegant faux granite finished walls with maple wood trim throughout. The REGENCY luxury restroom trailer is completely thermostat controlled with a hot air electric heating and air conditioning system that will keep the restroom trailer the perfect temperature any time of year. A heating room for the waste water and fresh water holding tanks allow for the REGENCY to remain fully operational even during the below freezing temperatures in New York. 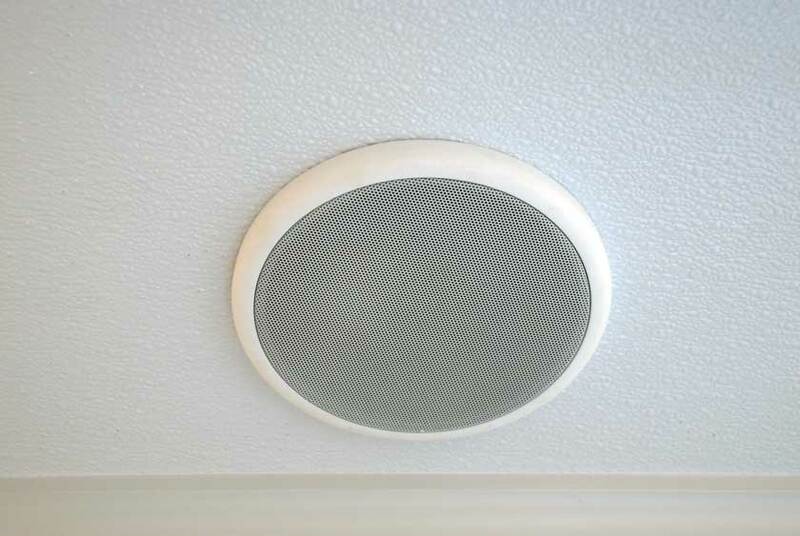 Ceiling installed speakers with a central music system is also provided for your enjoyment. 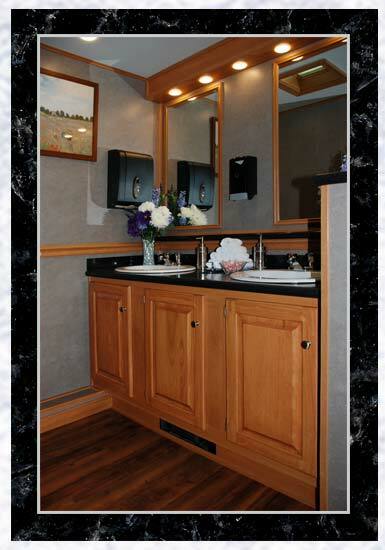 Electricity for the REGENCY restroom trailer runs on a generator or standard 110 Volt outlets for convenience. A professional uniformed delivery specialist will arrive to set up the Regency at your desired location. Set up of the luxury bathroom trailer will take only about 30 minutes until it is ready for use. 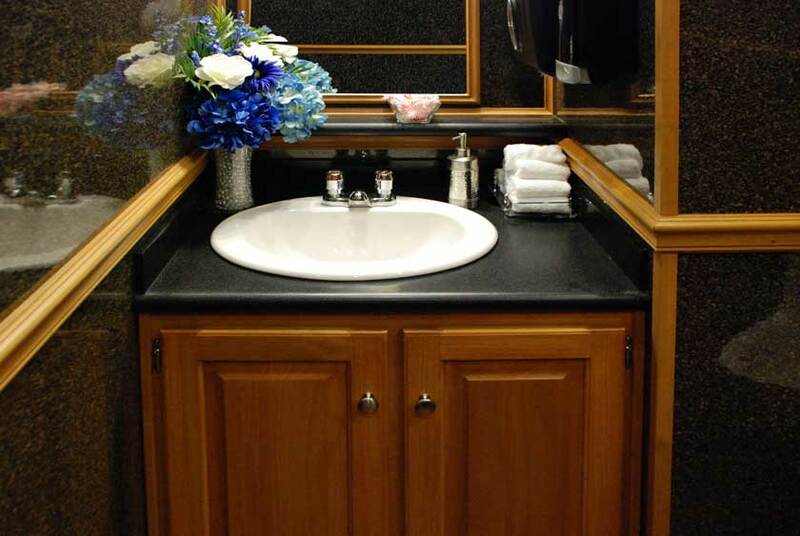 The Regency is a self-contained luxury restroom trailer that has completely separate fresh water and waste water holding tanks. 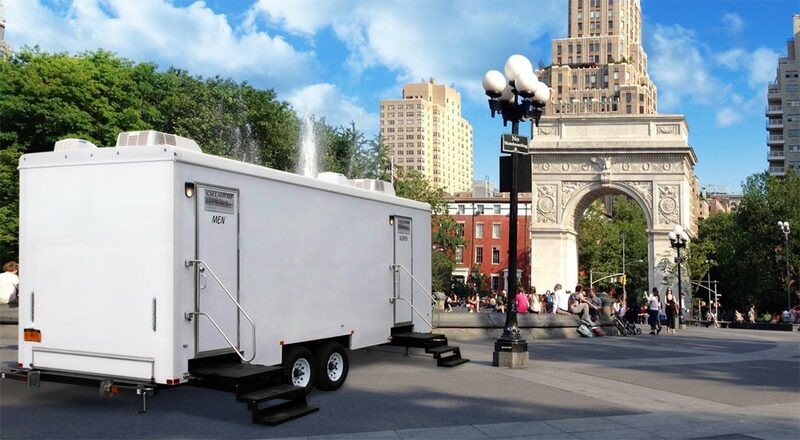 This restroom trailer is designed to handle use by hundreds of people at your special event. Since CALLAHEAD uses only hospital grade disinfectants and cleaners, you will be confident that you are providing your guests with the most sanitary restroom trailers available. 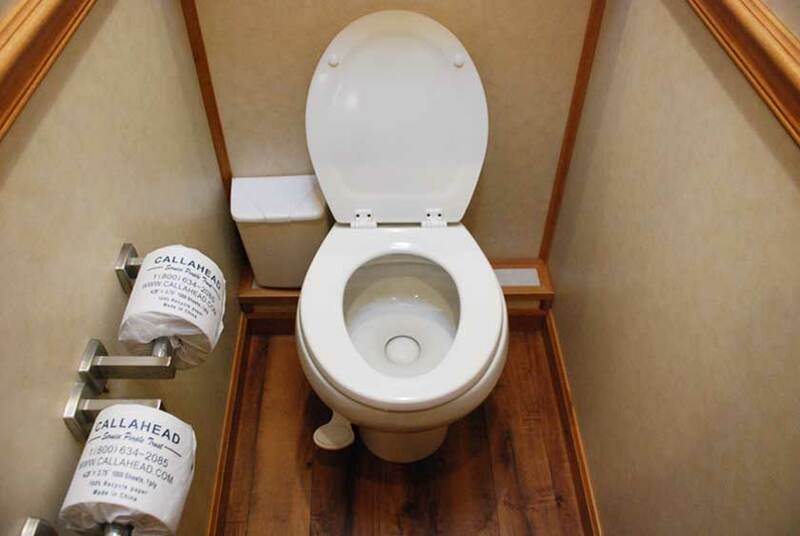 When you rent from CALLAHEAD you know you are providing your guests with the best portable restrooms available so you never have to worry. 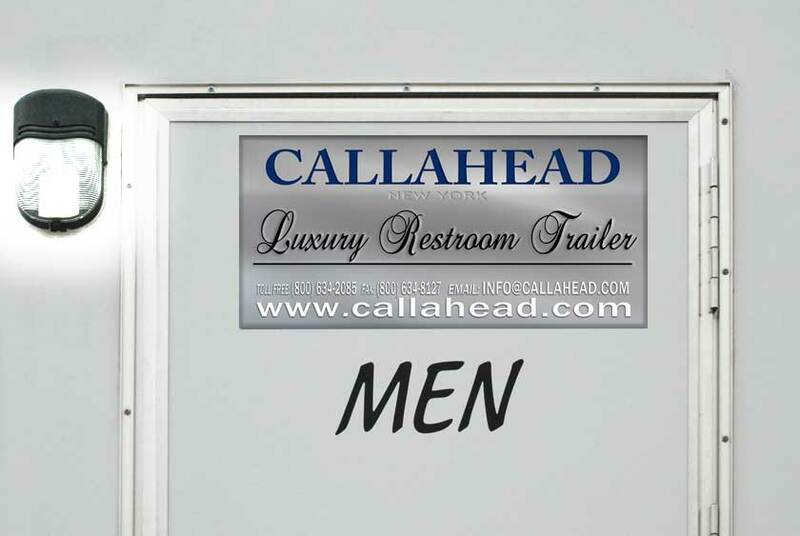 The REGENCY luxury portable restroom trailer will be delivered by a CALLAHEAD professional uniformed delivery specialist. Set up of the restroom trailer will take approximately thirty minutes. This is a completely self-contained portable restroom trailer with separate waste water and fresh water holding tanks. 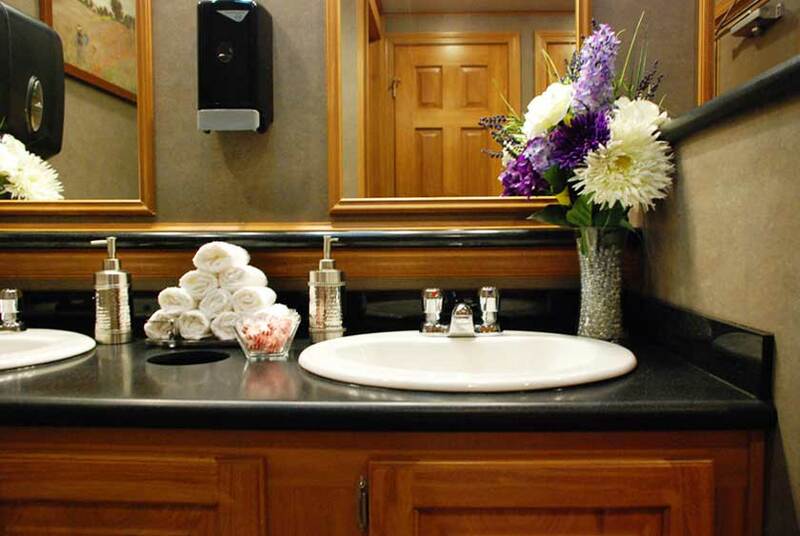 Included with the REGENCY restroom trailer rental are all the high end amenities and accessories found in elegant restaurants and catering halls. 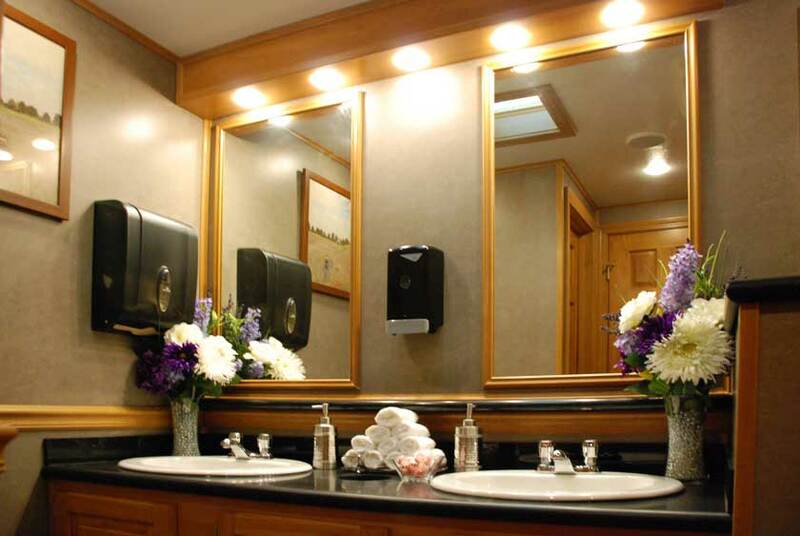 CALLAHEAD even offers the option of providing your very own uniformed restroom attendant so youhave peace of mind that this luxury bathroom trailer will stay in pristine condition throughout your special event. 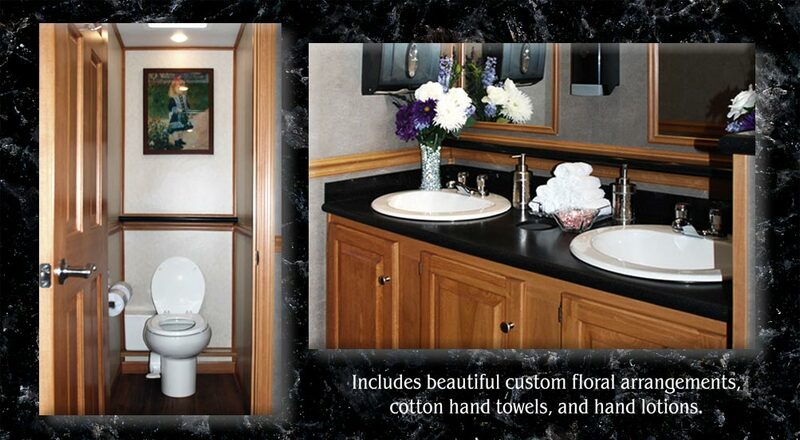 Your most astute guests will even be impressed with the REGENCY portable restroom trailer. 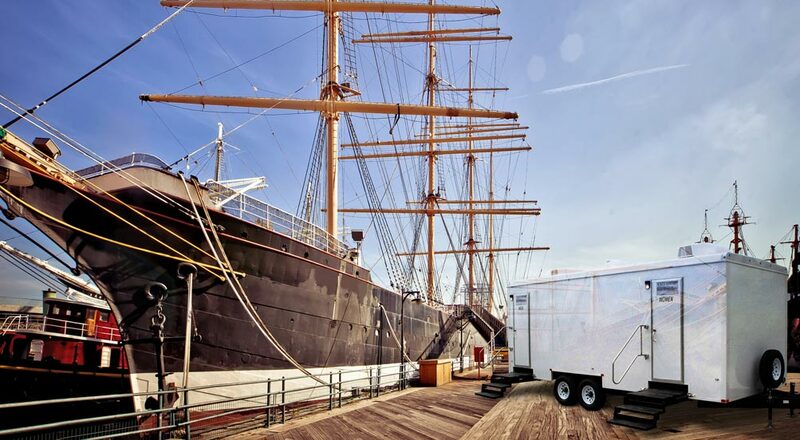 "Your most astute guests will even be impressed with the REGENCY portable restroom trailer". CALLAHEAD's President and CEO, Charles W. Howard has continuously developed and evolved the portable restroom industry since 1976. He has consistently created the most beautiful and efficient restroom facilities that have changed the industry forever. His dedication to developing the industry sets CALLAHEAD apart from the competition. The REGENCY is available for delivery throughout all of New York City's five boroughs of Brooklyn, Queens, Manhattan, Staten Island and the Bronx as well as all of Westchester County and Nassau and Suffolk Counties all the way to Montauk Point. For more information about The REGENCY luxury portable restroom trailer or any of our other restroom trailers, VIP portable toilets, standard portable toilets, portable sinks, porcelain toilet systems for office trailers, guard sheds and ticket booth rentals, holding tanks, fresh water delivery, commercial grade portable sinks, portable hand washing sinks, antibacterial and hand sanitizing dispenser rentals, long-term or short-term portable toilet rentals, long-term or short-term restroom trailer rental, portable shower rentals, and portable storage shed rentals please contact one of our sales specialists at 800-634-2085 or visit our website for details including full photos and videos of all of our unparalleled equipment for any of your portable sanitation needs at www.callahead.com. 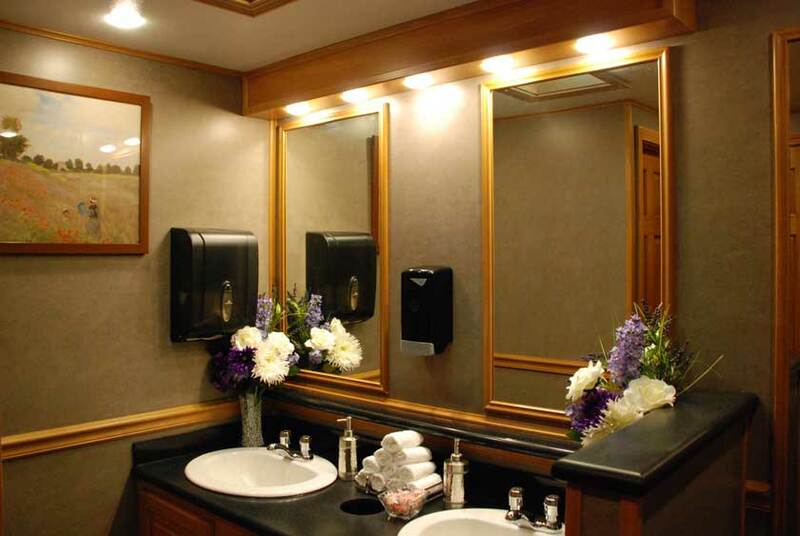 The REGENCY is a CALLAHEAD luxury restroom trailer rental ideal for any special event including graduation parties, weddings, bat mitzvahs and bar mitzvahs, engagement parties, baby and bridal showers, business events, fund raisers or other formal or social gathering. 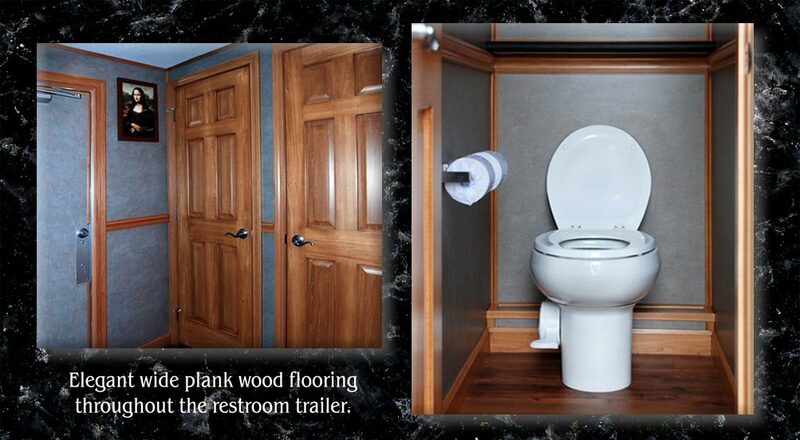 It is one of our best executive restroom trailers. 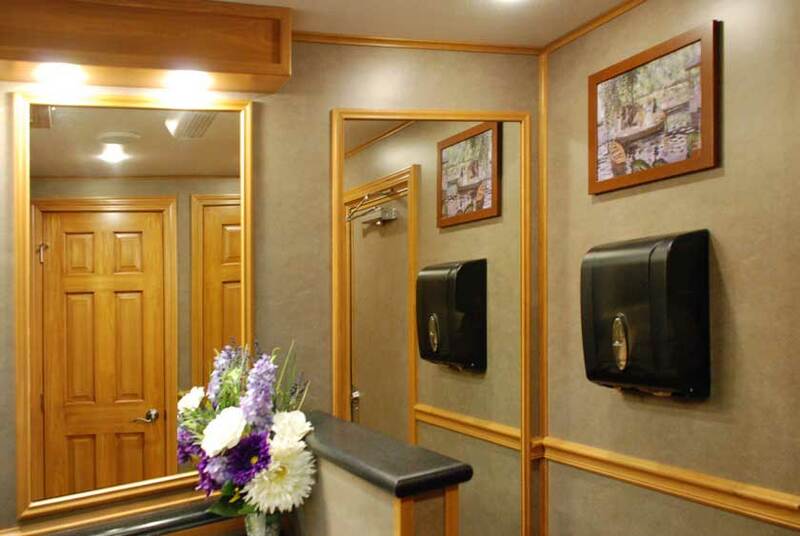 The REGENCY restroom trailer operates just like any public restroom in an upscale catering hall with all the luxury amenities included. Private bathroom stalls, elegant framed art work throughout, custom floral arrangements, thermostat heat and air conditioning systems, surround sound music system, and mirrored vanity sinks complete with cotton hand towels, antibacterial soap and filled hand lotion dispensers are provided. The women's restroom has 3 bathroom stalls with lockable wood doors to provide complete privacy, while the men's restroom is equipped with a private and spacious bathroom stall and 3 flushing urinals with privacy dividers for convenience. THE REGENCY's bright white exterior color and outdoor lighting looks clean and crisp in any location. 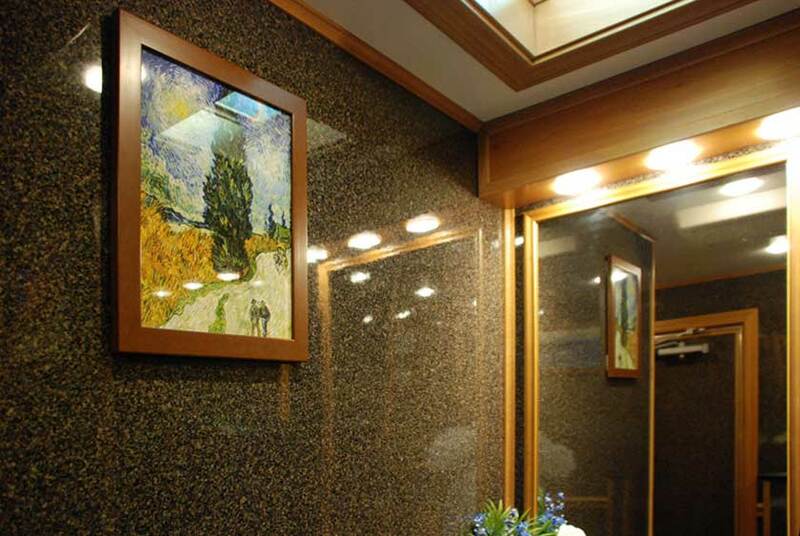 The wide entry doors artfully display "CALLAHEAD Luxury Restroom Trailers" so your guests see you have provided them with the best restroom trailer facilities available. The wide floating staircases are constructed of heavy grade solid steel and equipped with stainless steel hand railings for convenience. The staircases also provide safety lighting for safety during the evening hours. 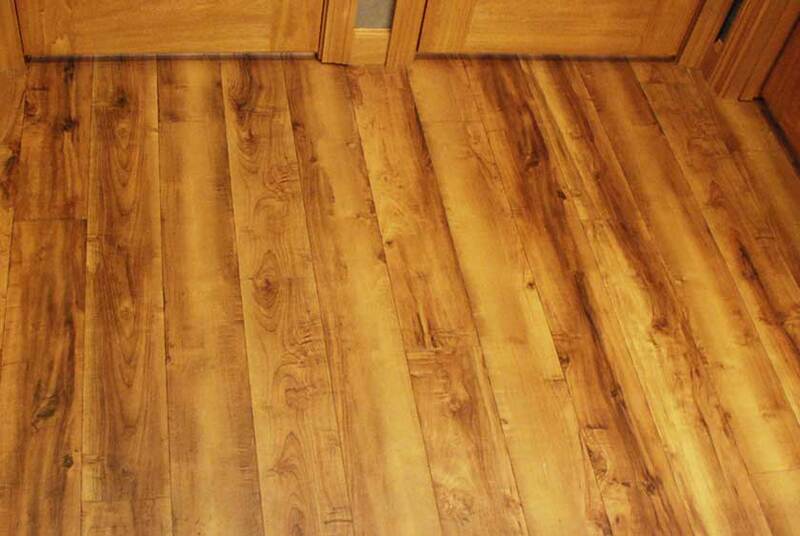 Beautiful wide plank wood flooring throughout the restroom trailer adds richness to the décor. 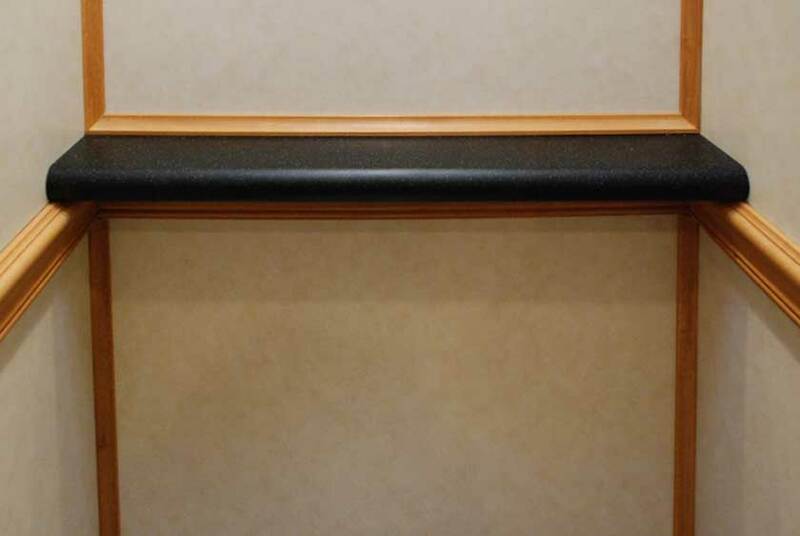 The women's side has grey faux marble walls with maple wood base moldings, chair rail moldings, and crown moldings. 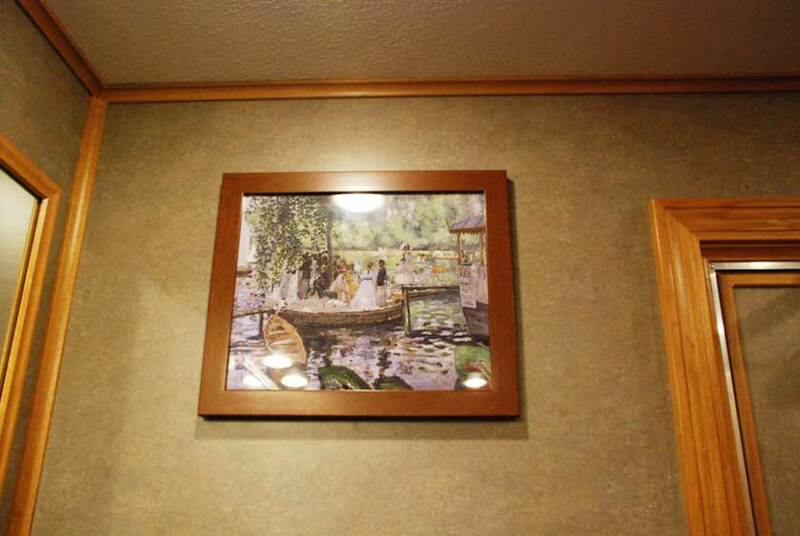 Sophisticated framed art work adds elegance to the restrooms setting in both the men's and women's facilities.